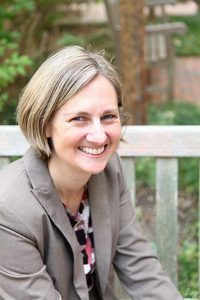 Eliana M. Perrin MD, MPH is a pediatrician, tenured Professor in the Department of Pediatrics, and an Associate Vice Chancellor for Research at UNC-Chapel Hill. She is a nationally-recognized leader in patient-oriented preventive care and pediatric obesity. She is particularly interested in BMI screening and the relationship of obesity to health outcomes. She has been the Principal Investigator on numerous grants in child health (including a multi-site randomized controlled obesity intervention trial funded by an NIH/NICHD R01 called GreenLight and its competitive renewal). She holds a medical degree from the University of Rochester and did her pediatrics residency at Stanford University. She has an MPH from UNC-CH. She also completed a fellowship in the Robert Wood Johnson Clinical Scholars Program. She was awarded the American Academy of Pediatrics Special Achievement Award for Distinguished Service and Dedication to the Mission and Goals of the Academy (for work on childhood obesity). She was awarded the Hettleman Prize at UNC, which recognizes highest scholarly or artistic achievement. She currently directs a multi-disciplinary laboratory called the Scientific Collaborative for Overweight and Obesity Prevention and Treatment (SCOOPT), is the Associate Program Director for the NRSA, and mentors numerous trainees. Finally, she is a board-certified pediatrician, providing primary care and supervising residents at a safety-net clinic.